Old school B- Movies, Zombies and Brains.. Yes I am all over that..! Saturday, September the 14th at 4pm FSJ was holding their Annual Zombie Walk. 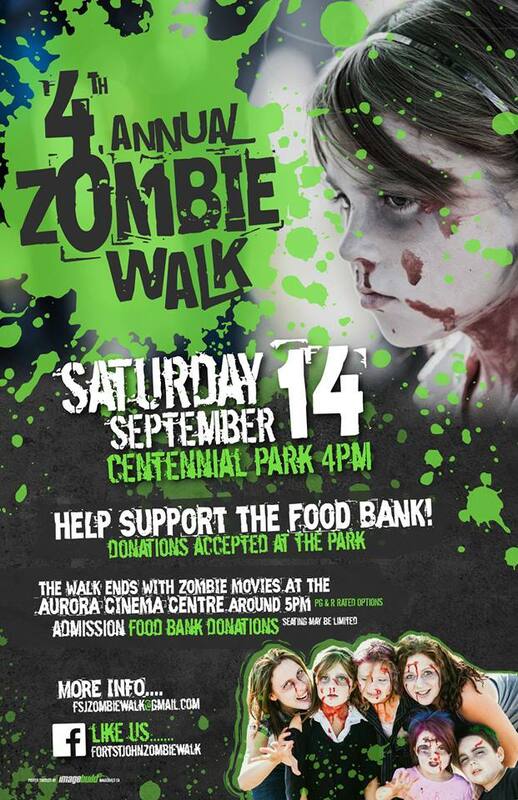 The walk is a way to raise funds for the local Food Bank by asking for donations of non-perishable food items. 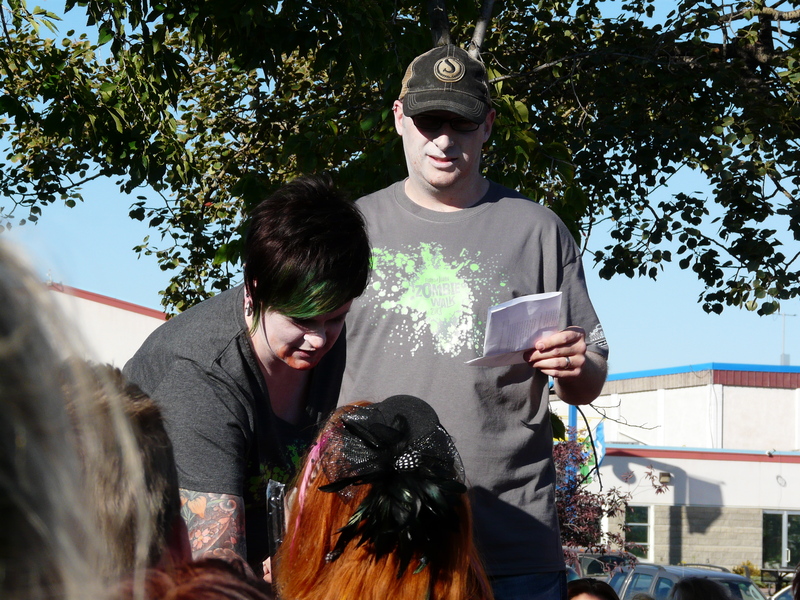 After proposing the opportunity to the kids to be apart of the event interest peaked and preparation began. 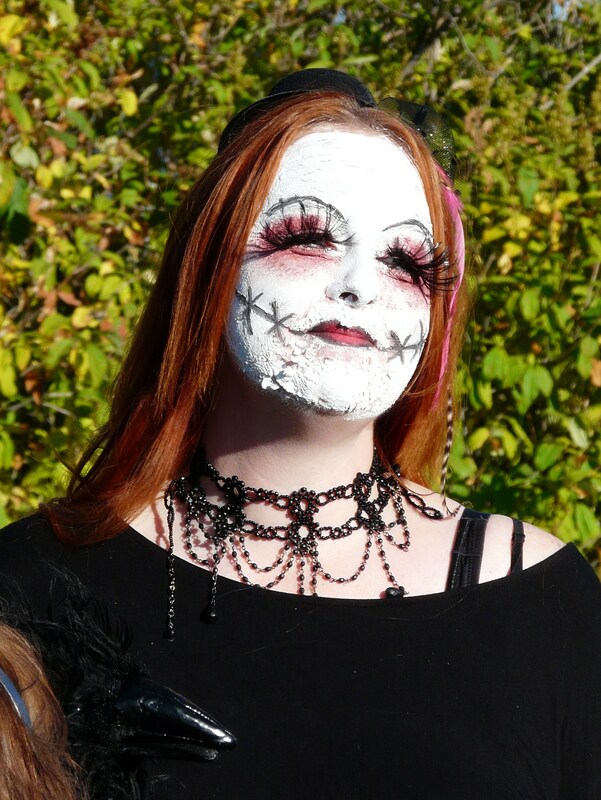 Anyone attending a Zombie Walk knows here is your chance to transform oneself into the mindless, trance like beings that roam the earth in search of finding what may quench their unstoppable hunger for.. Brains. So after a few minutes of us all crying and moaning in our best ‘Zombie voices’, walking circles with our cliché style of arms up and knees locked I had to prepare the boys costumes. 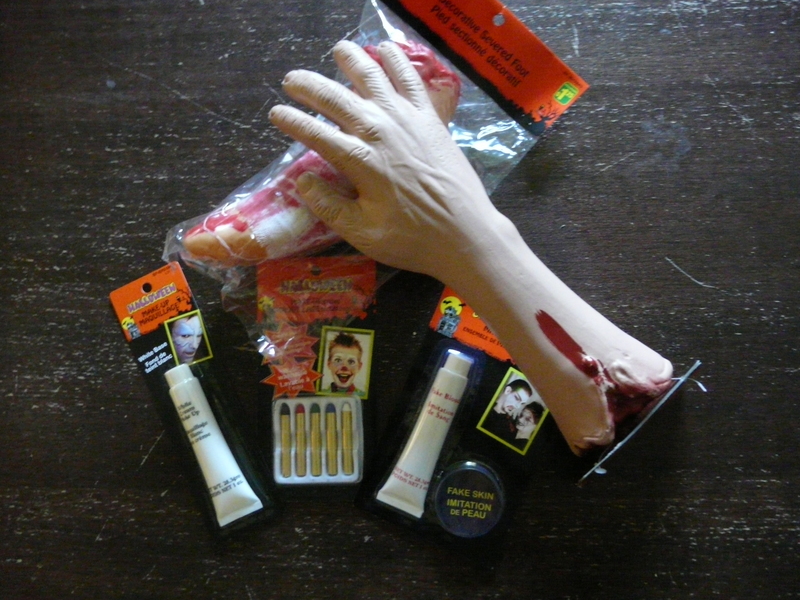 Great luck would find this even being held close enough to Halloween that I was able to go to the local Dollar Store to pick up grease paint, now what were they going to wear? 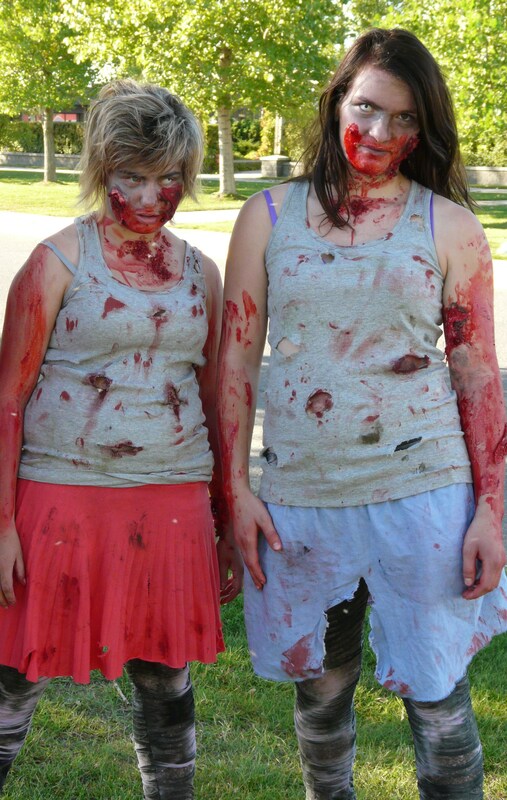 After Googling many images of hand made costumes the best advice that was given was that Zombies are not the cleanest of folk and a bit of charcoal can go a long way as can fake blood. 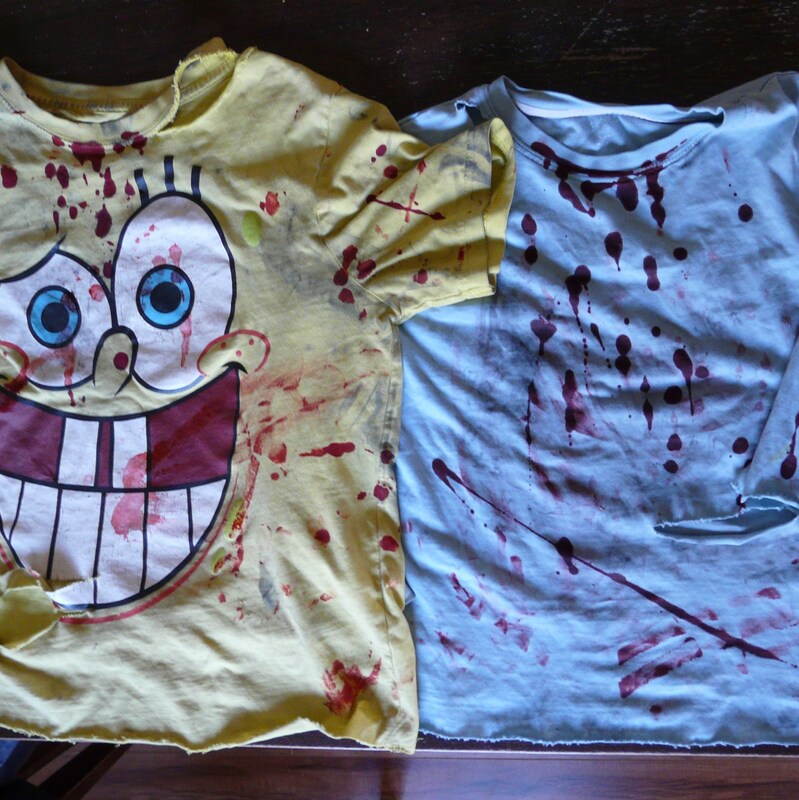 I could do that, I found two T-shirts that were past the point of repair and I went to town with them. 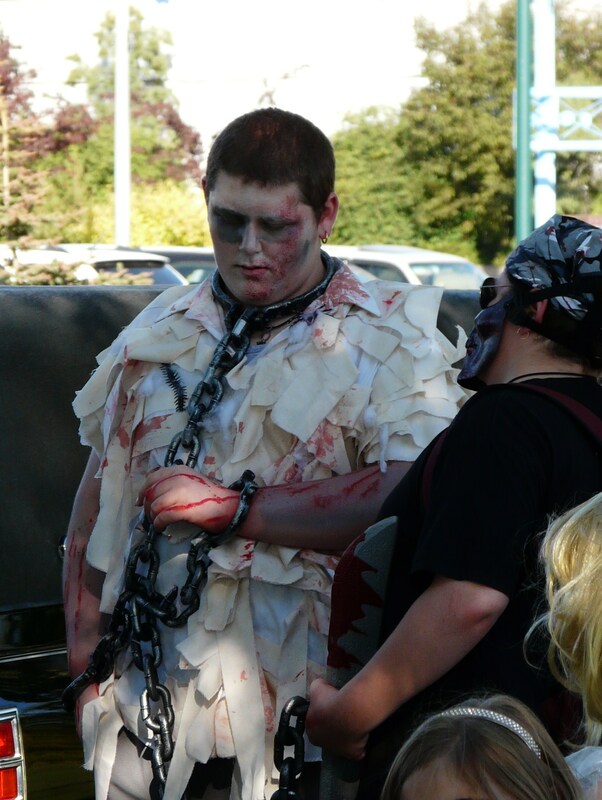 I first cut and ripped the shirts in places you would find natural wear and in a couple of places that could be seen as snags as the Zombie made it’s travels in search of food. I then went outside to our fire pit and grabbed a hunk of coal, perfect for making dirt marks and an over all look of filth. 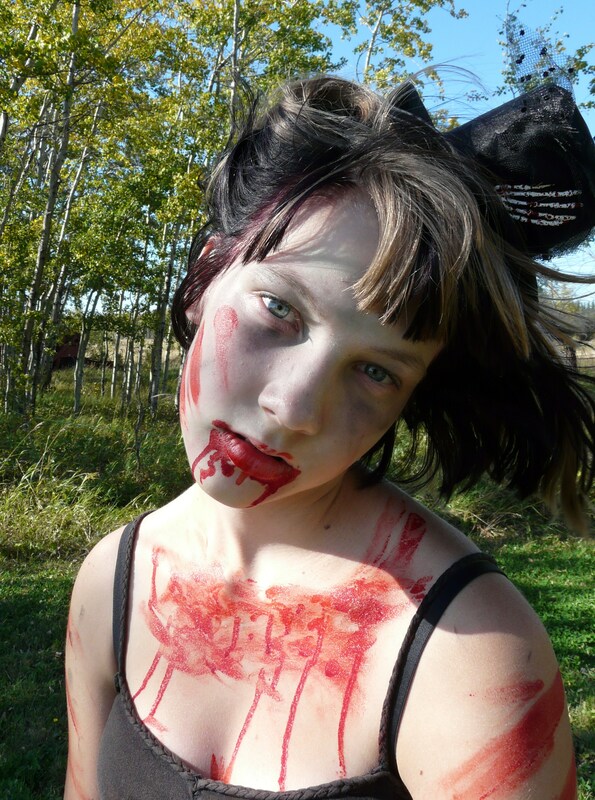 Last was the fake blood. 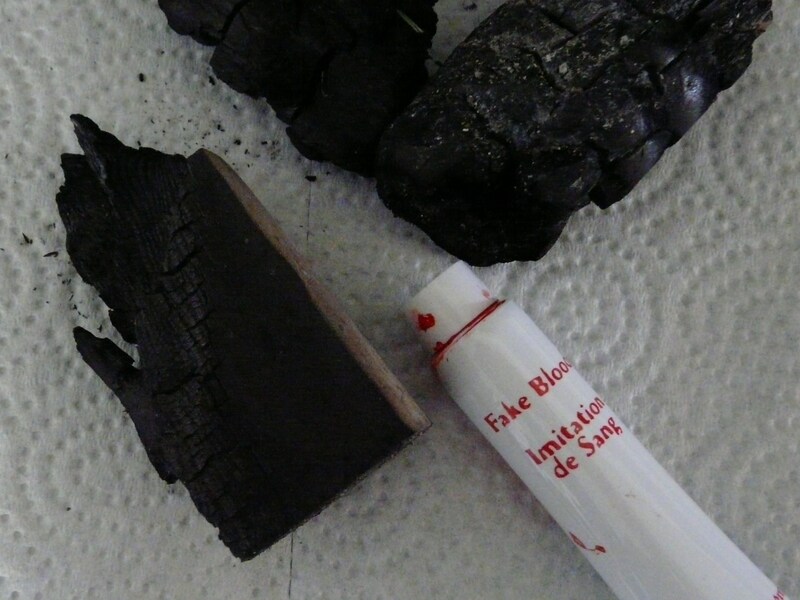 I had not ever used this product before yet I am telling you so much fun, I get the blood to a minimum. 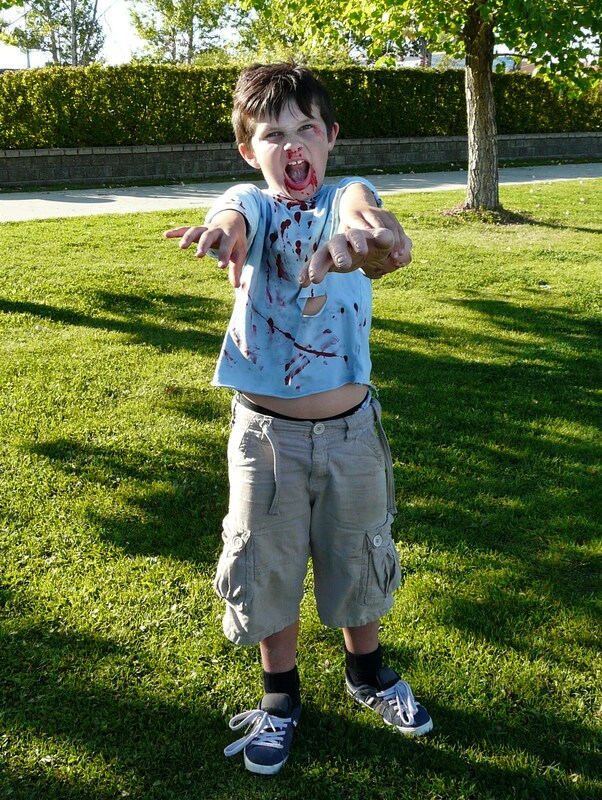 At the neckline and down the chest other than a couple of fingers slashes as if someone was grabbing at the Zombie. Costumes were done and now onto make-up! I tried to use a white cream base and I found the product did not blend well unless a lot was being used which I did not fancy the look of so I decided to favour the green, black and red oil sticks. I really like less is more and highlighting the areas that look bothersome to see leaking blood such as noses. I framed the face in green and blended, make long drag lines under the eyes in green and black and again blended and where ever I intended to put blood I made a background of red. 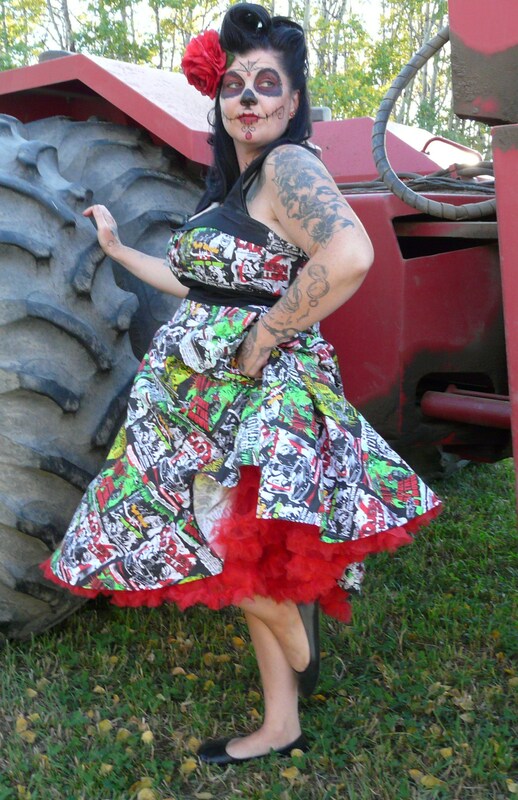 I myself did nothing like the kids, as I knew I would be wearing my B-movie Pin-up dress I decided what would be fitting was my ~ día de los muertos~ day of the dead face. Once we arrived at the Centennial Park the meet up for the walk, what a turn out! One could barely see the hearse that was being loaded full with donations of non-perishable food for the food bank. 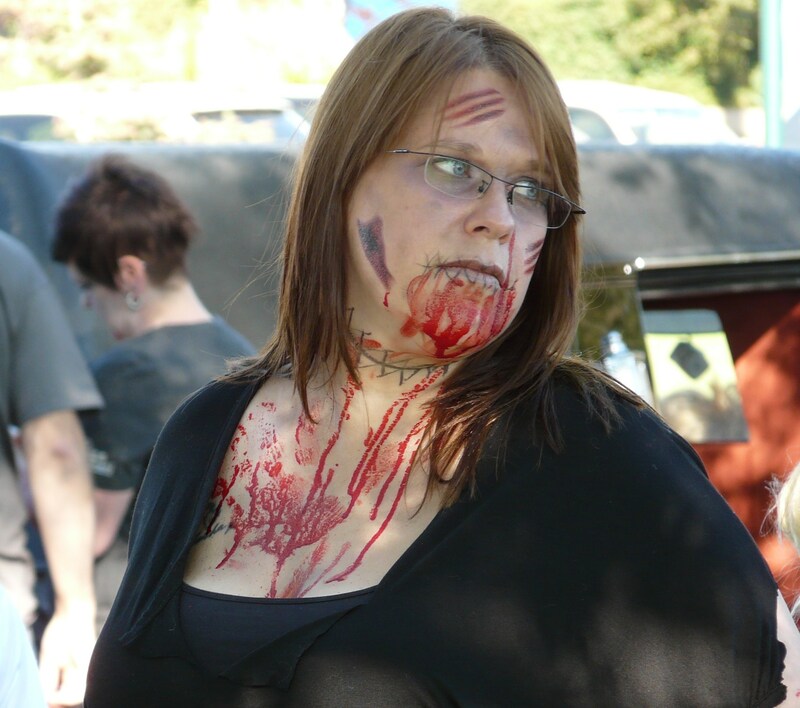 Everyone really played the part of their Zombie selves and it was so great to see such a huge turn out of so many people. Shortly after our arrival a picnic table in the centre of the Zombie Hoard became the podium for the organisers to give a little information, Thanks to the people, to the Sponsors and prizes for the best Zombies. 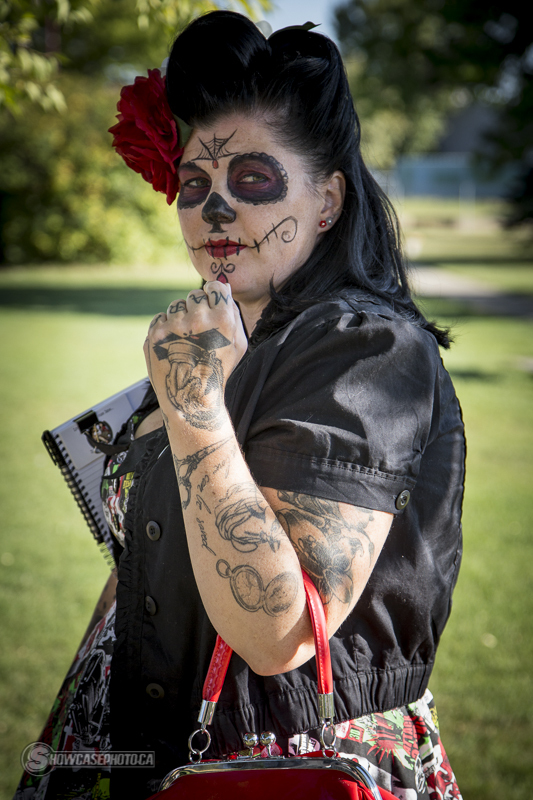 This was the 4th annual FSJ Zombie Walk and was by far the largest organiser Kim Large has yet to see. She has been running the walk since it’s conception and was so very proud that the food count was through the roof. Great people the Large family you can tell they have big hearts, they have passion for this event and you could hear this in their talk with the crowd to really encourage great behaviour as the walk does go through the local Totem mall and ends with movies hosted by the local Aurora Cinema. At the mall there was a Flash mob that performed and the double feature started with Para Norman for the little zombies in your life and Evil Dead remake for the elders. All in all 675.5 lbs of food was taken to the Food bank up 300 lbs from last year. As one of my son’s lives with a spectrum disorder I was not sure how he was going to perceive the day. As the costumes and the make-up unfolded I could see he was slightly questioning the point of it all yet he was a real sport for joining in on the fun. We left the park and did not make the walk to the mall yet I know we will be better prepared to do so next year and maybe we will see you there as well. 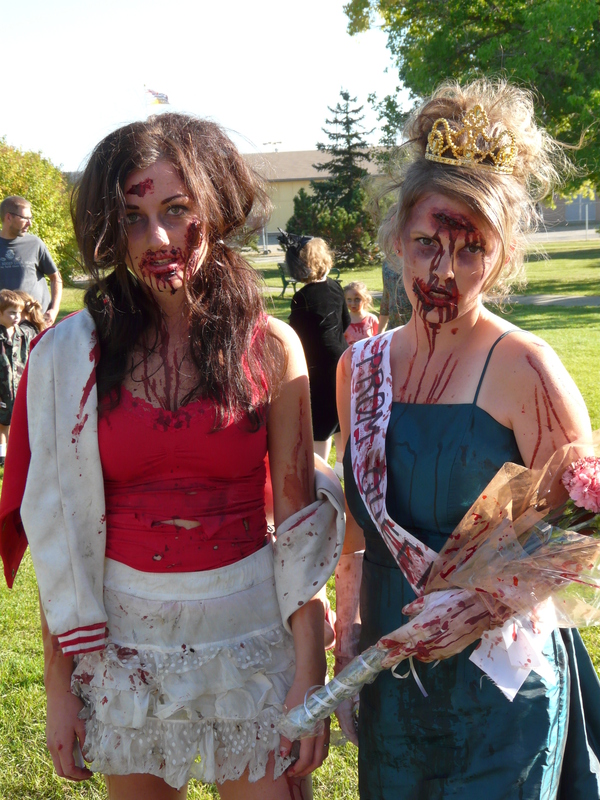 There are many great images to be seen on the Fort St John Zombie Walk FB Page and indeed this was a family friendly event.